Birds Nest aquifer in outcrop along Evacuation Creek, eastern Uinta Basin. The large cavities resulted from the dissolution of saline minerals, creating the aquifer’s porosity (percent of pore space) and permeability (a measure of how effectively the pores are connected). 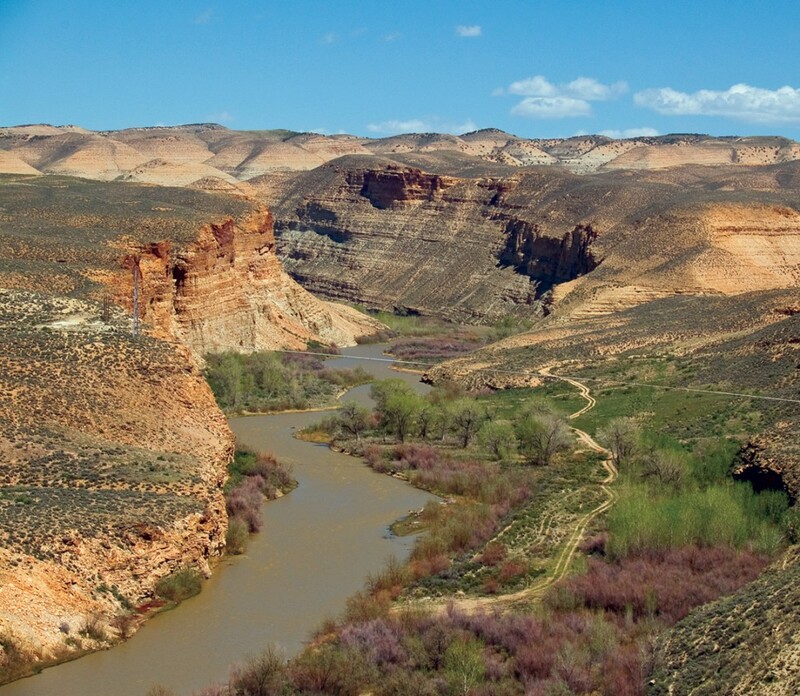 This Uinta Basin water study will help alleviate problems associated with produced saline water as a means to facilitate increased conventional hydrocarbon production and help resolve water-related environmental barriers to possible oil shale development. Moderately Saline Aquifer Study Goal: Re-map the base of moderately saline water in the Uinta Basin to better facilitate water disposal permitting and to protect fresh-water resources. 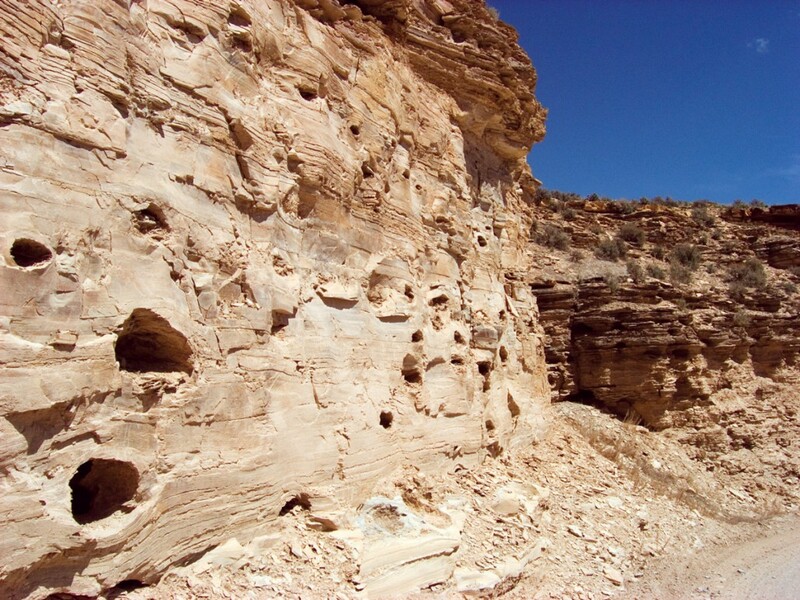 Geologic Examination of the Birds Nest Aquifer Goal: Study the spatial and stratigraphic extent of the Birds Nest aquifer to determine the possible impacts of saline water disposal on future oil shale development. Baseline Water Quality and Quantity DatabaseGoal: Create a baseline water quality and quantity GIS database for lands in the Uinta Basin identified by the BLM as having oil shale development potential.